This post is for my daughter-in-law Jen. Two shelves, each with 3 small pieces, ready to fire.... 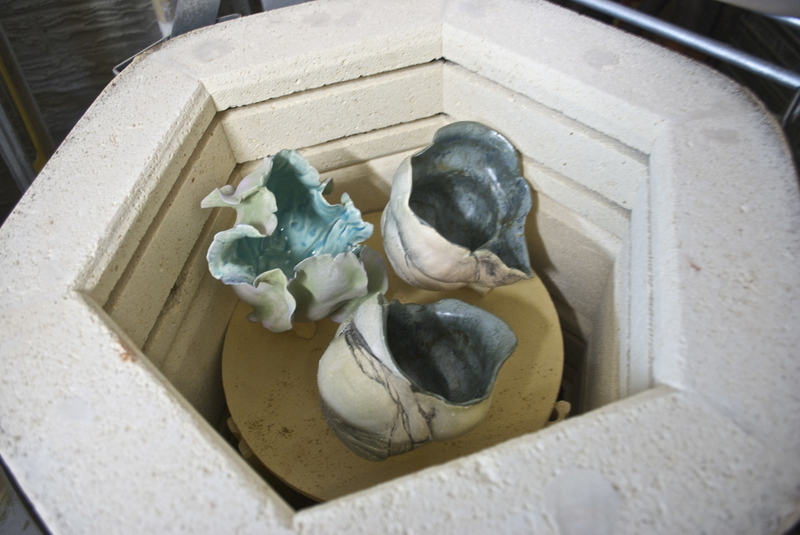 This is my test kiln and comes in handy for these small pieces, especially since they are often fired 3-4 times to get the layering that adds depth to the glaze and the terra sigillata and oxide outside surface. My other kiln is one of those huge oval electric kilns that I use for large loads and large pieces. Tomorrow, I will show some of the completed pieces, just for you Jen!